Since I was four years old, soccer has been a great passion of mine. Yet as I grew older I underestimated the number of opportunities that could arise from it. In my final year of college I was playing for the Eastern Suburbs Premier Women’s team, my college 1st XI and the NZ U17 Women’s team, as well as coaching at Eastern Suburbs. Upon graduation I didn’t have my future decided but knew soccer was always going to be a big part of it. Almost a year later, I moved to Nashville, Tennessee to study and play soccer at Lipscomb University. It is a small Christian university with a new and developing soccer program, and I know I could not have made it here without my club and coaches support. However, the opportunities did not end there. Over our Spring break, March 14-21st, members from our soccer team travelled to El Salvador on a mission trip. Each individual had to fundraise for the trip and the support I gained from Eastern Suburbs was incredible. Working alongside Sports Outreach Institute, we spread the word of God by teaching and playing soccer with underprivileged children. We began our time at the soccer academy they run. This is run on Saturdays by volunteers and is free for any neighbourhood kids. With fields of dust and little equipment, it made us truly appreciate how well-off we are back home. Yet the things they lacked they clearly did not miss, as these were some of the most joyful children I have ever met. 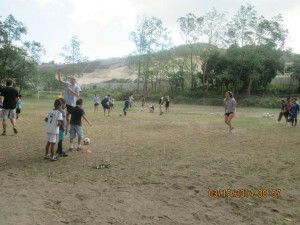 In the morning, we coached the younger boys, aged from about 4-8, and in the afternoon the older boys and girls. While the language barrier was difficult at times, through the use of a soccer ball it was made easier to communicate. We taught them games and drills before having a large scrimmage which, as expected, turned into boys tackling and jumping on us in order to score a goal. Later in the week we went to the local school, Nuevo Cascatlan, where we got to join in with classes P.E sessions and the children’s recess. 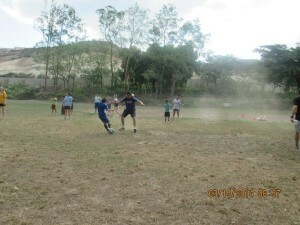 Told we would be playing soccer with them, we all expected to see a shabby field somewhere, but there was none. There was no grass to run on or trees to climb; the school was probably the size of a regular soccer field and entirely concrete. There was a tiny concrete soccer pitch with metal goals and faded lines. Yet this was enough to keep them happy. Whether there were four people on the pitch or forty, there always seemed to be a game going on. Joining in here we met so many wonderful children and made so many friendships which will never be forgotten. It was not all about children though, as we got to meet and play with people our own age too. 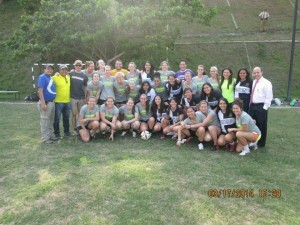 We played mixer games and got to know the women’s soccer team at ESEN University, which is a private business university in El Salvador. 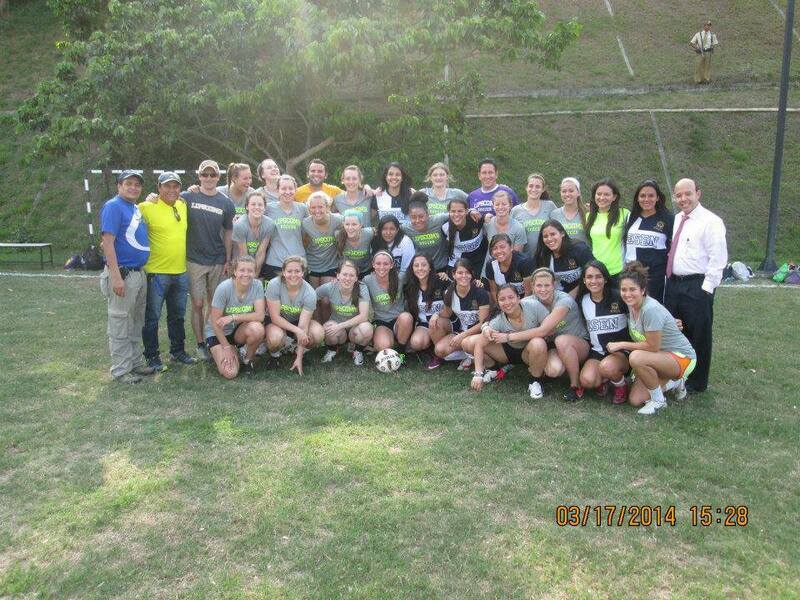 We also got to play with the El Salvadorian U20 National Women’s team, which was an incredible experience. 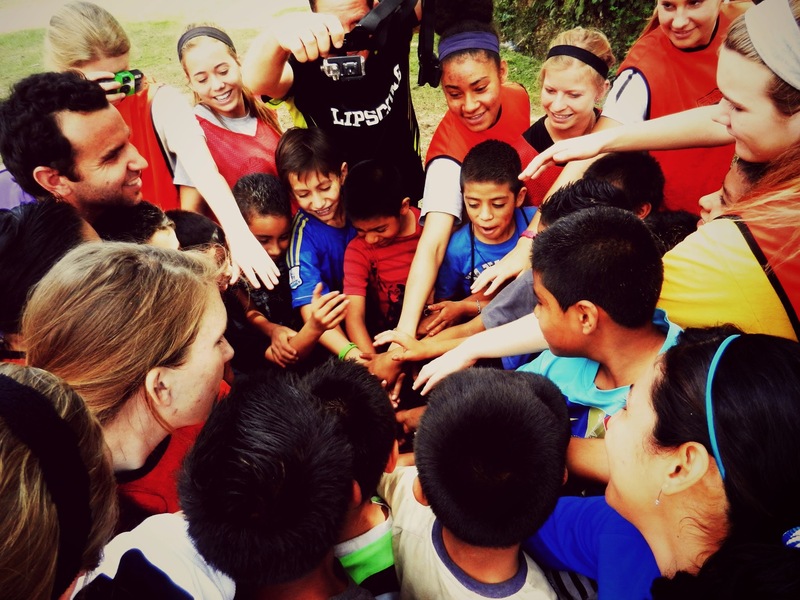 Through both of these encounters we gained insights into life in El Salvador and got to meet some incredible people. We listened to their stories and shared our own, truly getting to know these new friends. Looking back, it’s crazy to think how much one week impacted our lives. Through a simple soccer ball we were able to experience and share joy with these people, in the most unexpected circumstances. In New Zealand and America, these environments are rarely seen or heard of. Often we take for granted all we have. This experience was truly an eye opener and I am so thankful to all those who made it possible.